This Coconut Cake is made from scratch, and topped with a scrumptious cream cheese frosting that is so addicting. 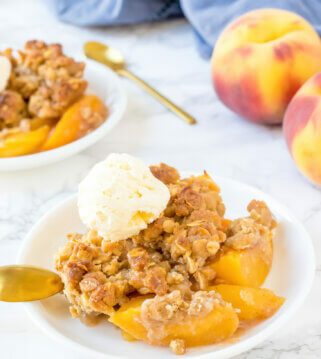 It also has cream of coconut and toasted coconut on top giving it an incredible flavor making it a dessert to enjoy all year long. If you are looking for a simple, no-fuss coconut cake that is loaded with coconut flavor, you’ve come to the right place. 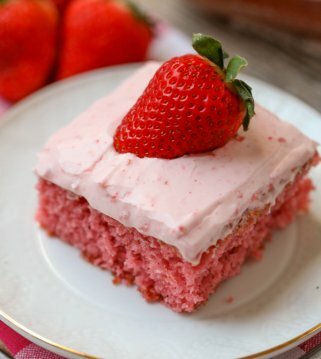 This cake is easy to make, but tastes simply amazing! 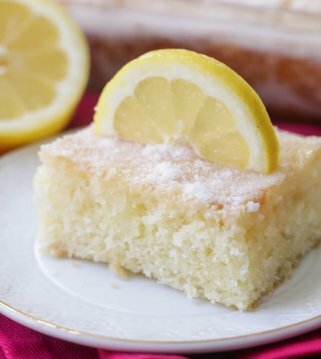 Although this cake is simple, you do need to beat egg whites for this cake recipe. Don’t worry, I have a few tips. It works better if the eggs are at room temperature. I usually just place mine in a bowl of warm water for a few minutes. Beat them in a glass or metal bowl for best results. Since you don’t want any grease to come in contact with the egg whites, I like to beat them first, then just use the beaters to make the rest of the batter. Just fold them into your batter using a large spatula. You want to be gentle, but don’t stress too much. 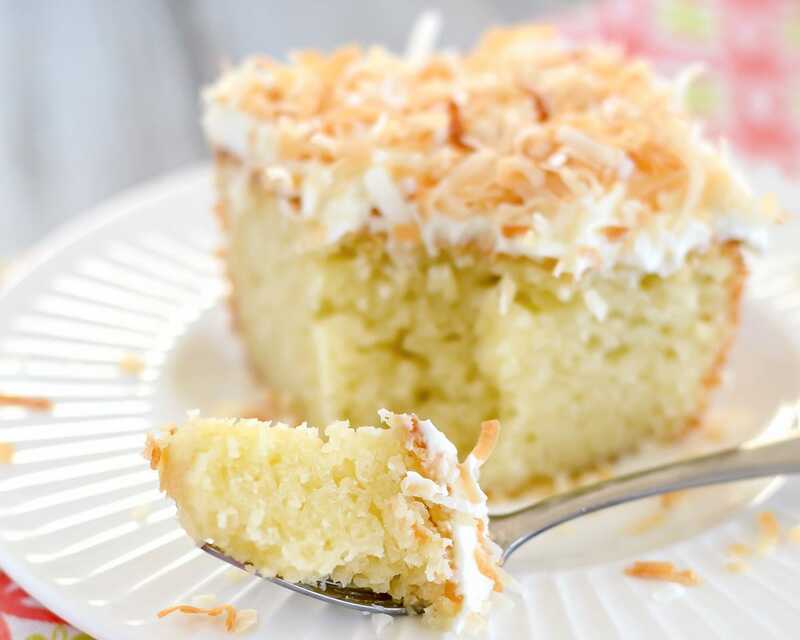 After your cake is cooled and frosted, sprinkle it with toasted coconut. Of course, if you prefer, you can just use regular sweetened flaked coconut. It will still be delicious! 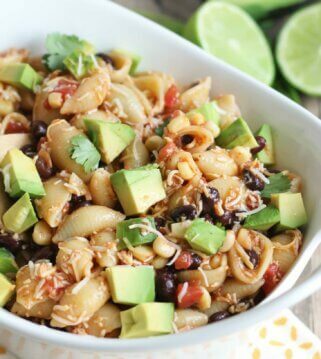 One of the ingredients that adds so much flavor is the toasted coconut on top. 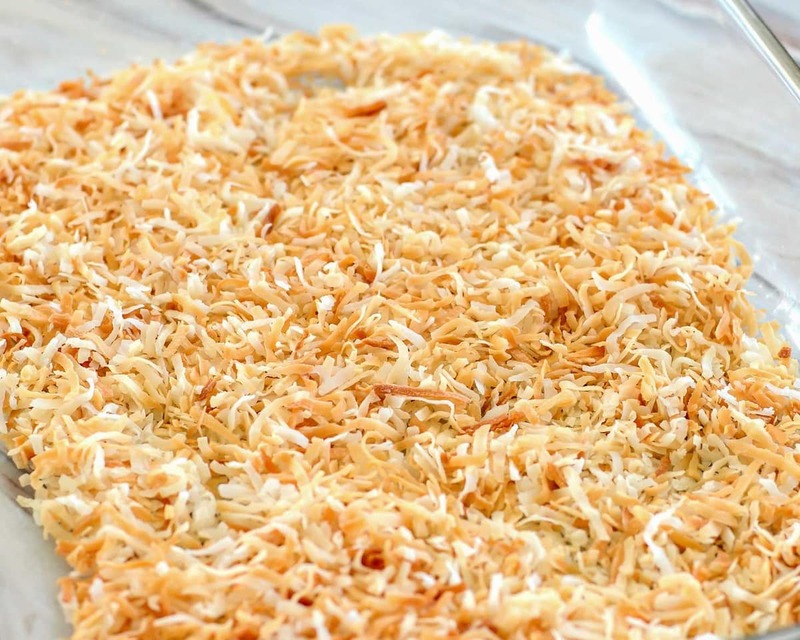 It’s super easy to make… Just spread your coconut flakes in a cake pan or on a cookie sheet. Beat cream cheese and butter till smooth and creamy. 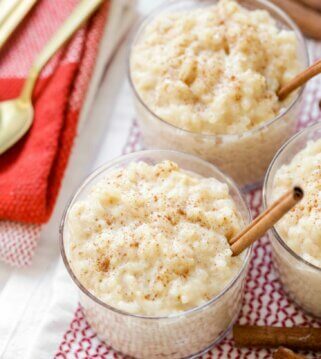 Beat in coconut extract, salt, powdered sugar, and enough cream of coconut to make a spreadable consistency. 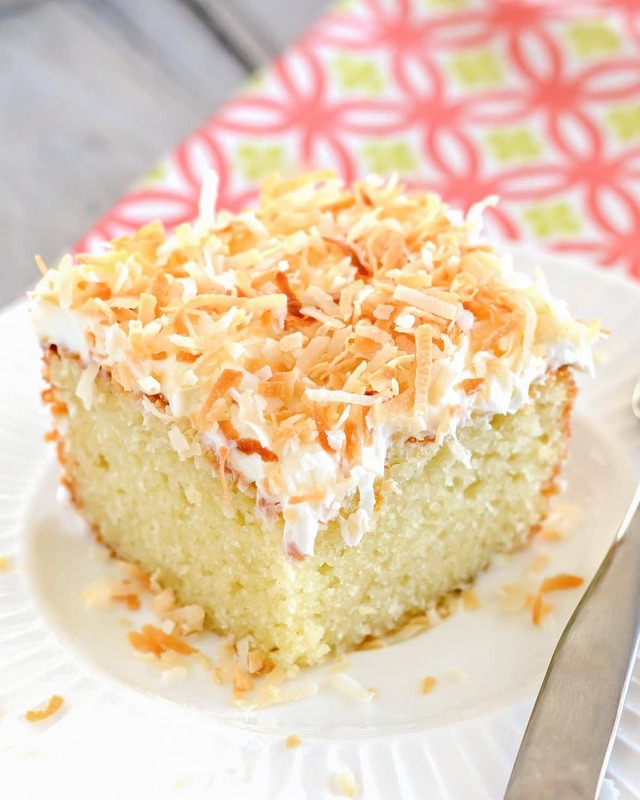 Spread frosting over cooled cake and sprinkle with toasted coconut. 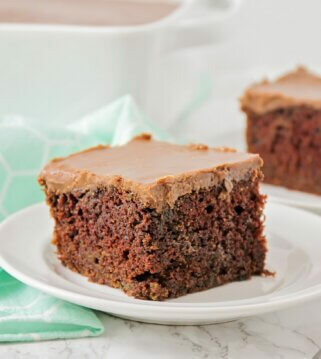 This cake tastes great right after you frost it, but it gets even better if you let it sit for a few hours. 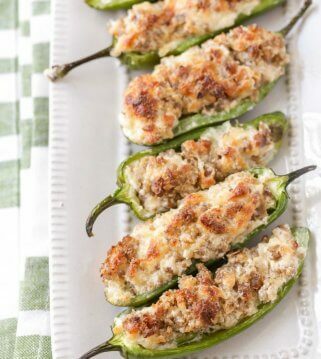 The flavors blend together and it becomes even more moist and delicious. You can even make it a day ahead. 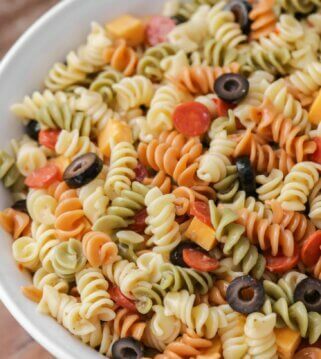 Store it in the fridge, but take it out a couple hours before serving and it will be perfect. We really hope you enjoy this coconut cake as much as we did! This Coconut Cake is made from scratch, and topped with a scrumptious cream cheese frosting. 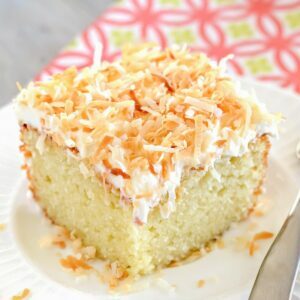 Cream of coconut in the cake and toasted coconut on top give it incredible flavor and a dessert to enjoy all year long. Preheat oven to 350°. 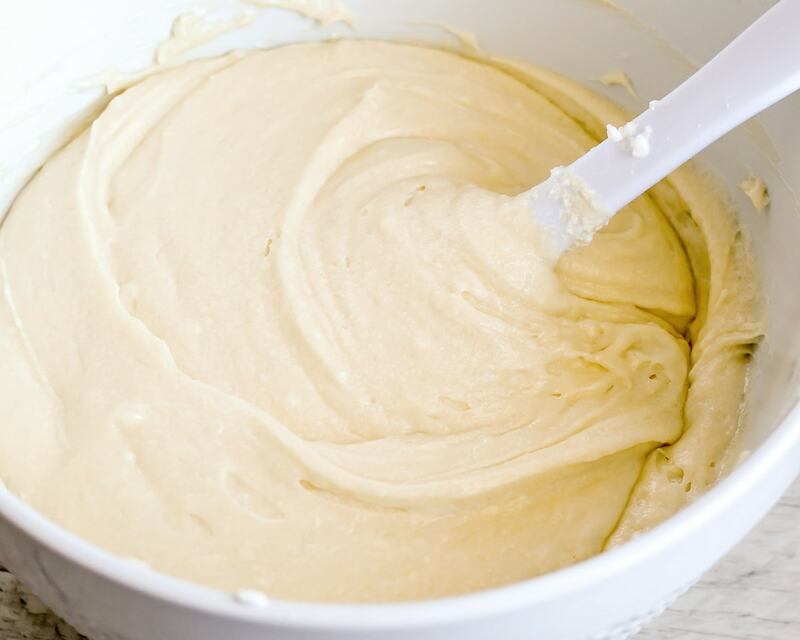 Whisk together flour, baking powder, baking soda, and salt in a small bowl. Set aside. Beat egg whites in a glass bowl till stiff peaks form. Set aside. 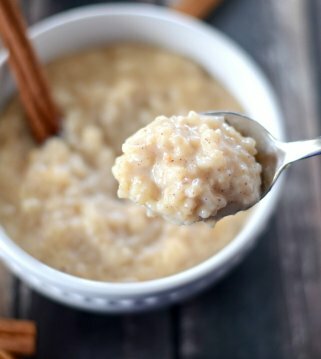 In a large mixing bowl, beat butter, coconut oil, and sugar till creamy. Beat in the cream of coconut, egg yolks and vanilla. Add the dry ingredients and the buttermilk. Beat till just combined. Gently fold in the stiff egg whites till well incorporated. Pour batter into a well greased 9x13" cake pan. Bake at 350° for 40-45 minutes or till toothpick inserted in the middle comes out clean. Cool completely. 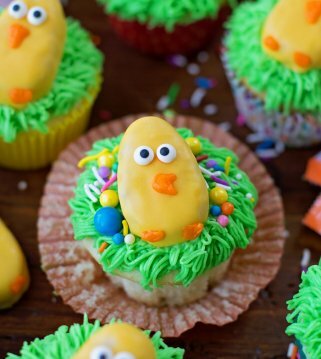 Recipe inspired by Broma Bakery. 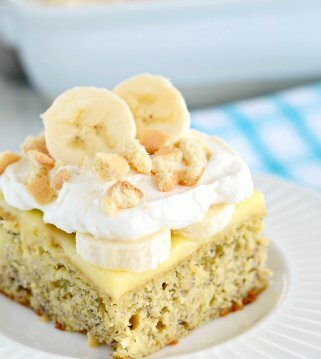 I am not normally a fan of coconut, but this cake is super delicious! So tasty! 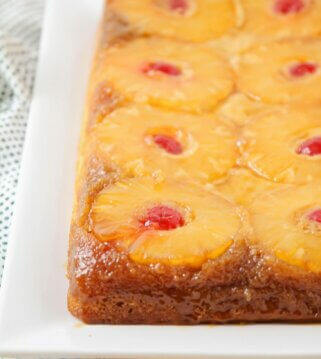 This cake is moist and full of coconut flavoring. Sure to please those that love cocconut!